Braun don't flush it down !!! Today's plan was the removal of the automatic pedal box to be replaced with the manual box from the parts car. After reading the tutorial from the site and thinking that it didn't sound all that bad, I grabbed some basic tools and headed into the backyard. First step was to pull back the carpet to open things up. 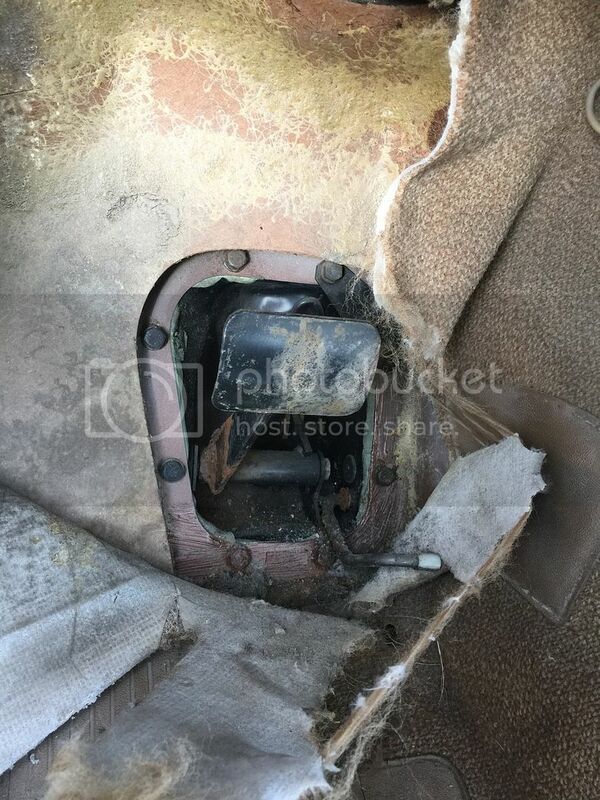 After removing the trim pieces and the panels under the dash - cut out and threw the speakers that had been hacked into this spot - I tried pulling the carpet up but apparently time hadn't been as kind to the carpets as it had to the rest of the car. Oh well no biggie as I had plans to get some new stuff from Esty when the time comes. Nothing like bare metal to burn around in while the drivetrain gets done. Everything was rolling along when I hit my first speed bump. 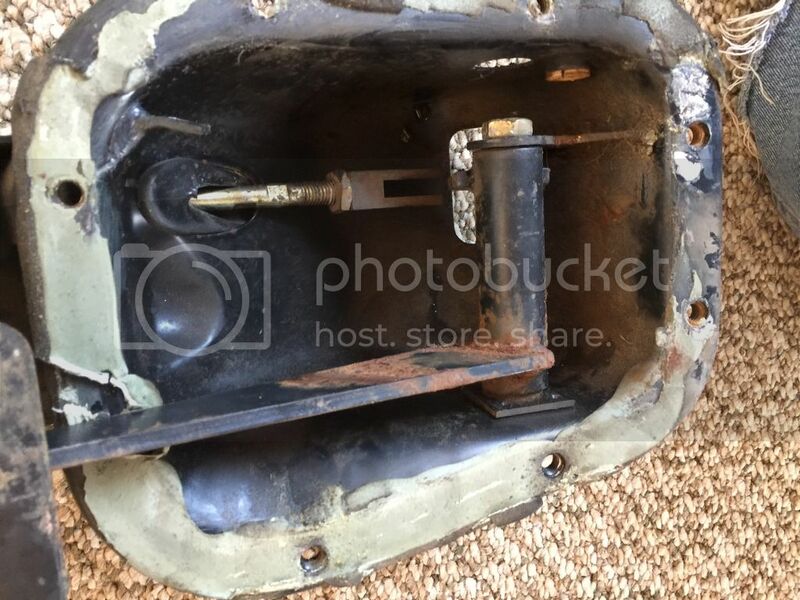 According to the tutorial it wasn't necessary to remove the entire bolt that squeezes the lower pedal box to the upper brake booster are, all you had to do was loosen it off enough to allow the bottom half to wiggle out. But after loosening the nut and bolt off the passenger side just wouldn't loosen up, infact i couldn't get that side to move at all! Tried wedging a punch in there to loosen it up and hitting with a BFH but it just didn't want to play nice. After around 30 minutes of wrestling with it I realized it was getting closer and closer to the time I had to go pick my daughter up from school SO made the decision to pull the top part of the assembly out. It has to be cleaned up and painted anyways so why not. 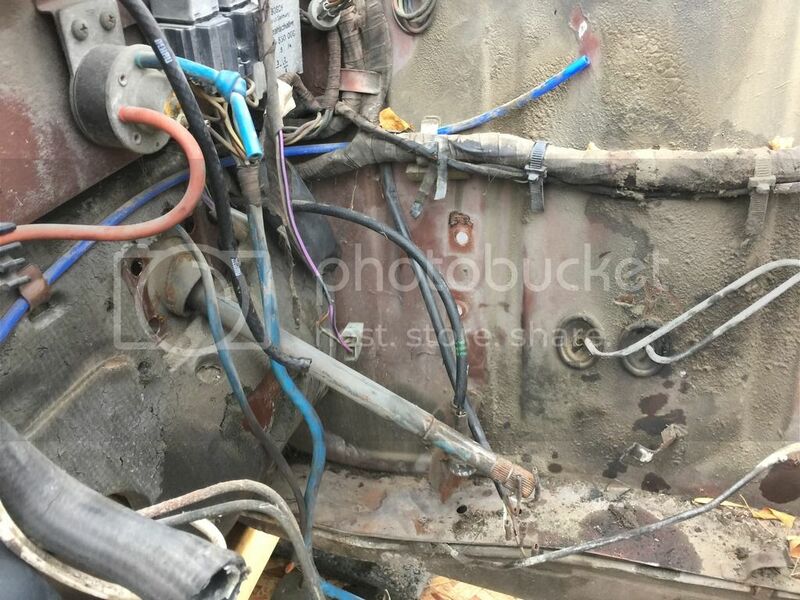 After unscrewing the brake lines, removing the master cylinder and loosening the nuts in the cabin area the whole thing came out without any real problems. 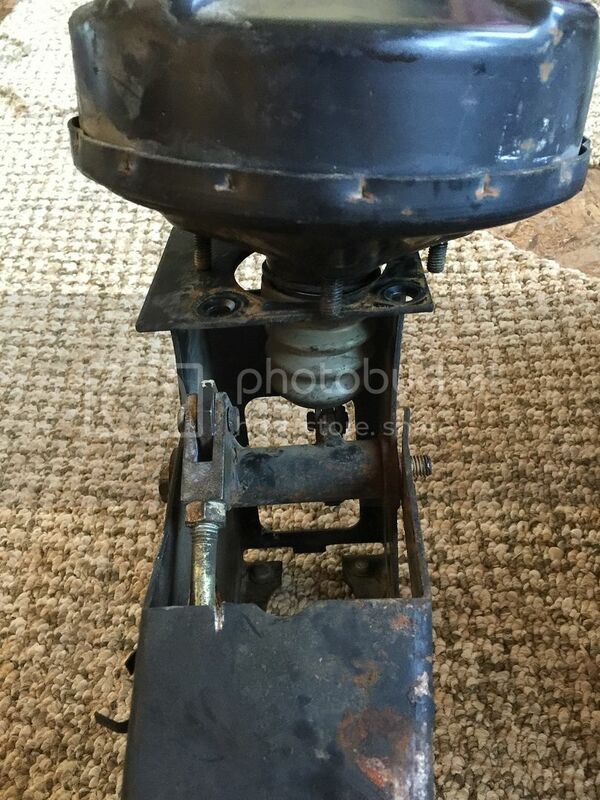 It doesn't seem to be in that bad of condition, nothing a wire wheel and paint can't fix up. 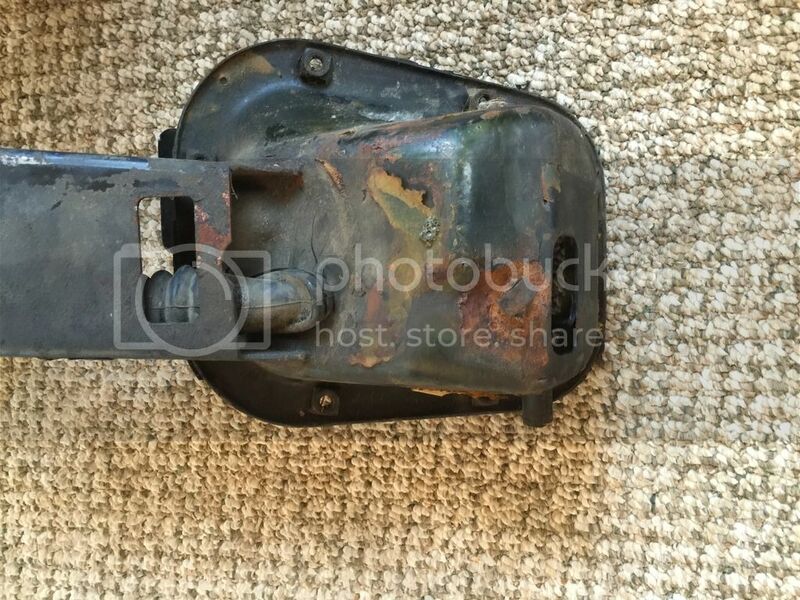 Was hoping to simply remove the bolt that holds the pedal in place and reattach some manual pedals but I am being told that it is much more than just unbolting and bolting things back up so guess I will have to repeat the process with the manual box clean it up and put it back in. 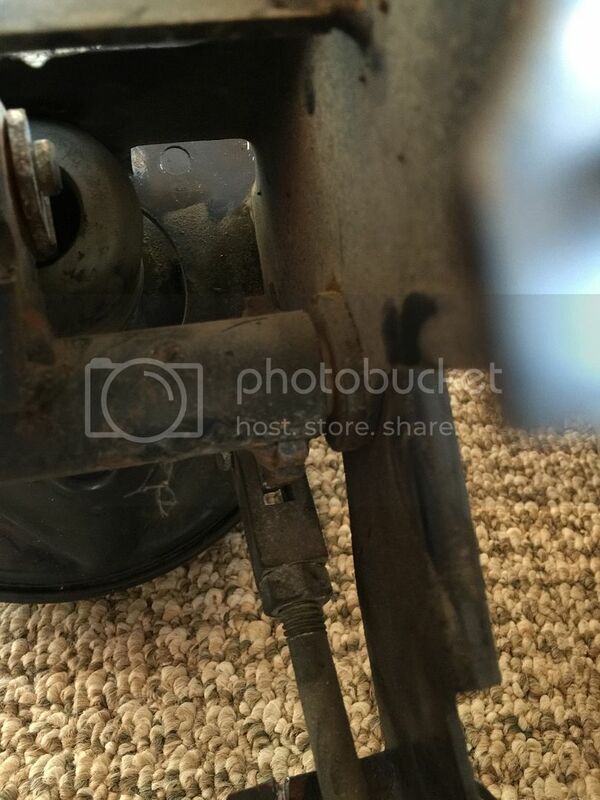 Wanting to tear the box down for repair and refurbishing I tried removing the bars holding the brake booster in place and the bar that runs down to the brake pedal but after removing the retaining clips the bars didn't want to come off. Running out of time i cleaned things up a little and headed out. All in all it felt good getting something done on the car, and still making it in time to bring the daughter home from school. Will have to wait till next week to pull the manual box out of the manual car but it I like the view from inside the engine compartment now. So sad Photobucket got greedy. I'm doing the same thing, to the same car and, would love to see the pics.